I was invited by Glug Events to illustrate one of the global goals set by United Nations. I was asked to illustrate the "Clean Water & Sanimation" goal. One of the targets associated with the Clean Water & Sanimation goal is to protect and restore water-related ecosystems. I was really inspired by and love the idea of all these natural sources of water working together as one. I wanted to capture the harmony between mountains, forests, wetlands, rivers and lakes. 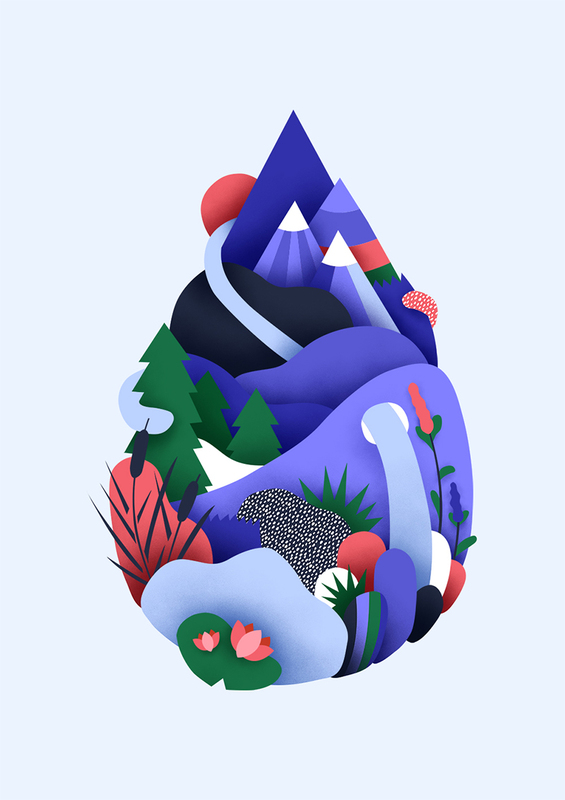 All of these ecosystems come together to form a droplet - the international symbol of water.